A stylish cricket bowlers awards trophy featuring a detailed resin figure of a bowler in action. Standing 8.25in, these trophies include an engraving plate on the base. 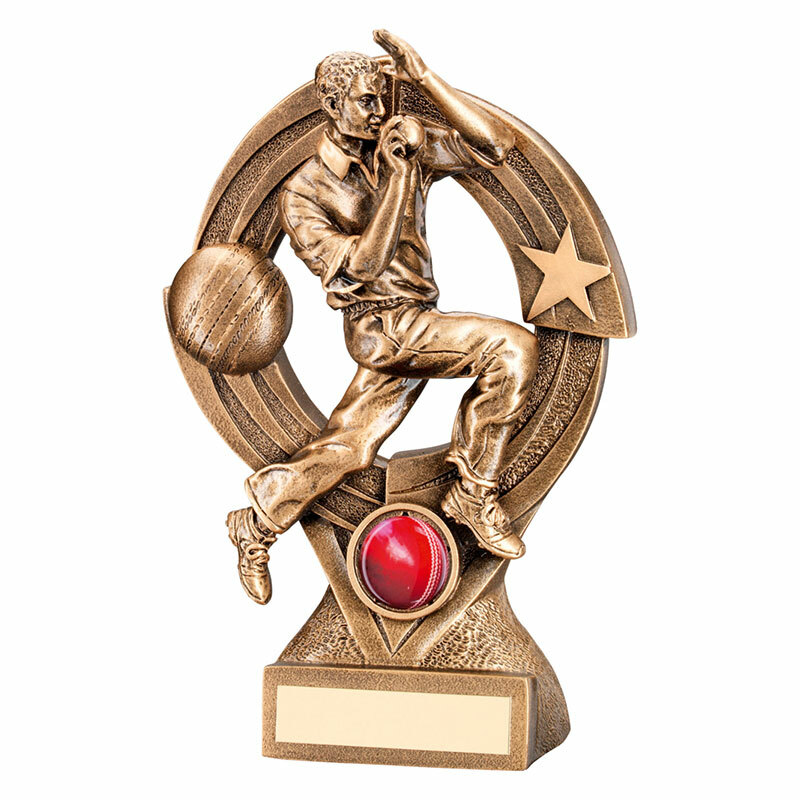 These versatile cricket trophies are suitable for a wide range of cricket bowling achievements.